We all know someone who is, shall we say, “thrifty”. This is a person who panics if they have to spend their money, but they’re very encouraging when it comes to spending your money. Yet, there are rare people who elevate thriftiness to an art form and make it look like an enviable – even honourable – profession. The airmen take Hendrix under their wings (ha ha), and settle into a domestic arrangement à la Snow White and the Seven Dwarves. O’Brien is perfectly cast as a charming con man who claims he “can’t afford to work”. Hendrix is delightfully funny as a down-to-earth woman swept up by the airmen’s enthusiasm. Our fave, Rudy Vallee, steals a few scenes as a cash-strapped businessman whose ex-wife is his “only liquid asset”. But wait! This movie is more than brilliant casting and laugh-out-loud lines. The screenwriters have thoughtfully provided us with a gift, something that resonates with us today as much as it did with vets in 1950. There’s no need to pay for housing if there are abandoned, freshly scrubbed buildings that no one else has thought to live in. In our movie, the airmen have commandeered empty army barracks, complete with cavernous, multi-stall bathrooms. Food is always a tricky item to avoid purchasing. However, our scriptwriters assure us that days-old food is inexpensive and poses no health risk! In one scene, the men treat Hendrix to chicken that’s been on a rotisserie for five days. What’s five days on a spit when it’s an extra 50 per cent off? Why bother with a car when you can hitch a ride with a delivery truck? In our film, the boys are chauffered by in a delivery van. With deliveries all over the city, a person can go anywhere free of charge. The Admiral was a Lady is a small budget film that deserves to be more well known. If it isn’t praised for its script and acting, then it should be revered for its tongue-in-cheek budgeting tips. The Admiral was Lady: starring Edmund O’Brien, Wanda Hendrix, Rudy Vallee. Directed by Albert S. Rogell. Written by John O’Dea and Sidney Salko. United Artists, 1950, B&W, 87 mins. This post is part of Fabulous Films of the 50s Blogathon hosted by the Classic Movie Blog Association. Be sure to read all the other contributions, daddy-o. I had never seen her in anything before this – and why is that! She is SO funny. She’s the perfect choice for this role. She wasn’t always called on to be funny, that’s for sure. You’ve never seen Ride the Pink Horse? The Robert Montgomery film noir from 1947? She co-stars in it. She was also married briefly and stormily to Audie Murphy. She had a rather sad life, but I’ve always liked her vibe. I haven’t seen this film, but it sounds very cute. O’Brien was always so good as a noir heavy, so it’s surprising to think of him in comedy. But Rudy Vallee was a wonderful comic actor; I love him in the Preston Sturges films he did. He had a great deadpan delivery, which always made him so funny. I know! O’Brien is so good in noirs, so it took a few minutes to get used to him in a Jack-Carson-type role. But he is really fun in this flick. Really, he is fab in comedy. As for Rudy Vallee, I adore him. His deadpan delivery makes me laugh. I love the way you wrote this, and yes a big second on Wanda Hendrix being great fun, and re: Ride the Pink Horse which is a weird little noir but she and Montgomery are fab in it. I like her in Prince of Foxes w Tyrone, and I hear Tatlock’s Millions is great. But I have to see THIS movie, sounds fun! This movie is a real lark. Soo many funny lines. Thanks for recommending the other Hendrix films. I have to see more of her work! Thanks to you and Youtube, I know what my selection is for my usual 10am Sunday movie! Excellent choice! It’s a perfect low-calorie movie for a Sunday morning. You were right. Great fun on a Sunday, and I can vouch for the fact that it goes well with Cheerios and grapefruit! It really was amusing, and the script was nicely compact and very mobile. Thanks for the pointer! Ha ha! Yes, I can imagine grapefruit and Cheerios being an excellent accompaniment to this film. Ruth, your delightfully cheeky post about THE ADMIRAL WAS A LADY sounds clever in myriad ways! It’s kinda like a 1950s MIDNIGHT COWBOY in the 1950s, but funnier! Wanda Hendrix was a wonderful actress who deserved better, but when she got good roles, like in the film noir RIDE THE PINK HORSE (gotta blog about that sometime in the not-too-distant future; saw it and loved it)! In any event, Ruth, you’ve done a wonderful job with this little gem — all this and Rudy Vallee, too! Awesome blog post, my friend, as always, and have a fine Memorial Day Weekend! You know, I have never seen “Midnight Cowboy”, even though people rave about it. Thanks for your kind words, Dorian. I’m on the hunt for “Ride the Pink Horse” – but I’ll look forward to your review in the meantime! Ruth, Another film I need to catch up on. I have heard of it but never had the opportunity to catch it. Will add it to my ever growing list. It does seem that the more films I watch, the bigger my to watch list grows! I know what you mean about the “To Watch” list growing… I’m in the same boat! “The Admiral was a Lady” sounds like a real charmer. When we laugh at ourselves we learn about ourselves. I think comedy is the true test of an actor. “Charmer” is the perfect description for this movie. As for an actor’s ability re: comedy – O’Brien is surprisingly great in this role. It’s almost as though he did comedy all the time. I’ve seen O’Brien in plenty of roles but the thought of him as a fast-talking conman is definitely a stretch. I had no idea that one was in his wheelhouse. I like your list for this movie which sums it up in such a light, entertaining way. Definitely sounds like something to put on my list. I know what you mean about O’Brien. At first, I kept thinking, “This is a role for Jack Carson.” But it didn’t take long to get used to O’Brien as the smooth-talking character. In fact, I wish he’d done more of them! Ruth, your “blueprint for happier living through not working” was hilarious! It sounds like a fun movie. As some others have said, my “to watch” list is growing, but that way there will always be a movie to look forward to. Thanks for continuing to fill up my list with good ones! Thanks, Shari! It is such a fun movie, with dozens of really funny lines. And the presence of Rudy Vallee is an added bonus! Oh hot diggity! This sounds like my kind of movie. I’d love to elevate my thriftiness to an art form, and what better teacher to have than Edmund O’Brien. Thank you for bringing this film to light. What a great cast it has too! If you’re looking to elevate your thriftiness, you’ve come to the right place! I hope you get the chance to see this one. It’s a keeper! It’s such a funny, charming film that doesn’t get a lot of press. I hope you get the chance to see it. It’s worth it! Gotta see this! Love your style. Thanks, Aurora. I think this might be your kind of film. It’s clever and very amusing. this is sheer genius! I love your blog – looking forward to exploring it! Thanks so much, Roy! It’s a movie that’s definitely worth watching. I know what you mean about films you’ve not seen before. I’ve added so many to my Must Watch List. This is one film that deserves more recognition than it receives. 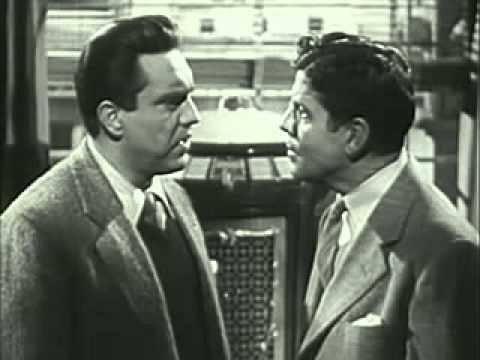 Edmond O’Brien seems to have a lot of fun in this role. Thanks for a fun look at a movie I’ve never seen before but would like to now! I just took a quick peak on YouTube and it looks like it would be funny and also interesting to see a different side of Edmond O’Brien. I know! At first I didn’t Edmond O’Brien could pull off this kind of a role – but I was wrong. He’s absolutely delightful as a fast-talking “con” man. Have to fess up to never having heard of this one before, Ruth, but it sounds like a heck of a lot of fun! 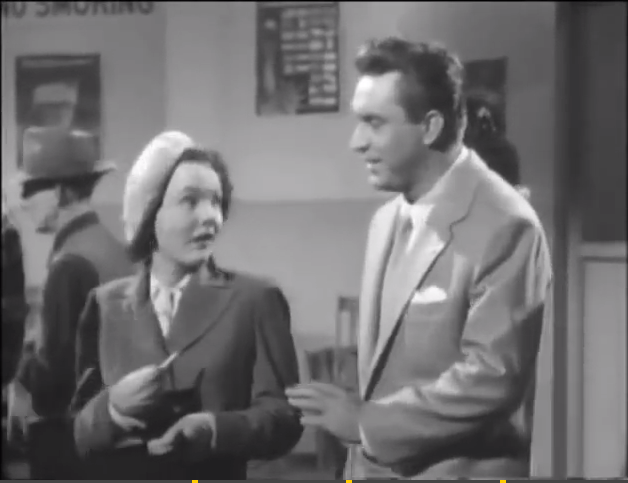 I like Wanda Hendrix too (she’s a perfect spicy match for ex-hubby Audie Murphy in several of his westerns), and Edmond O’Brien sounds like perfect casting for a charming con man. Great review, and an inspired choice for the blogathon! Thanks, Jeff. Edmond O’Brien is really fun as this cheeky character – he has great comic timing. I’m not that familiar with Wanda Hendrix, but I recently bought a set of Westerns for $10, and I see Wanda’s name in the credits. I’m looking forward to seeing more of her work. Interesting look at living off $20 a week. I’ve never seen the film, but it seems like it would be funny. This film is a real lark. Has sooo many funny lines. It’s worth watching if you ever have the chance.